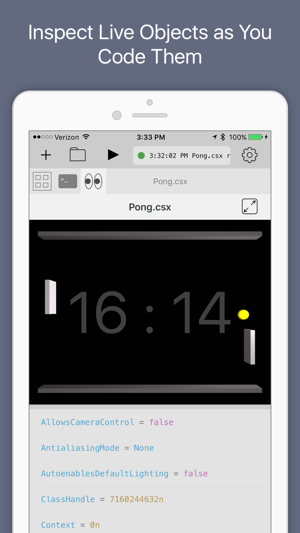 Continuous is a fast and powerful .NET C# and F# IDE that runs directly on the iPad and iPhone (no network needed!). 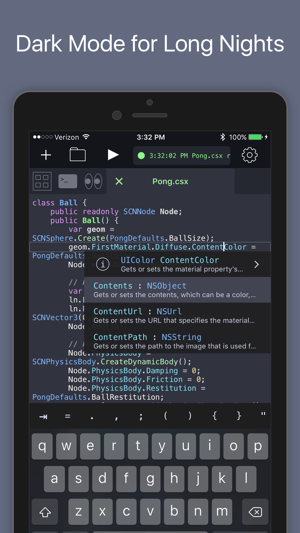 With it, you can write apps and games using your favorite languages on your favorite devices. 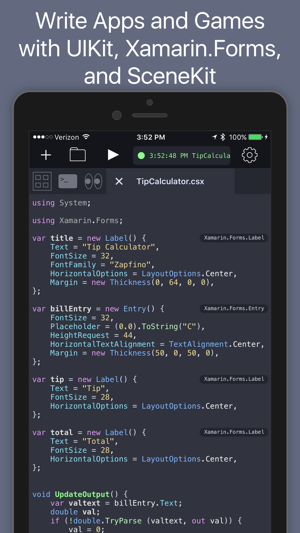 >>> Includes Xamarin.Forms and UIKit to build apps and SpriteKit and SceneKit to build games. 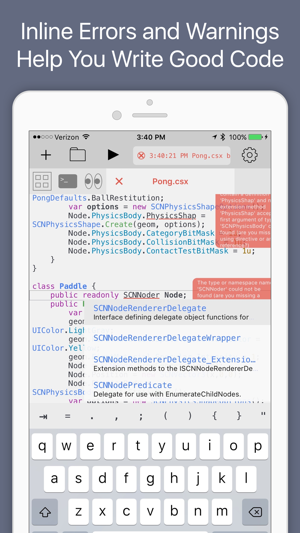 You can access many iOS APIs including CoreMotion, the Social framework, and HealthKit to read data. 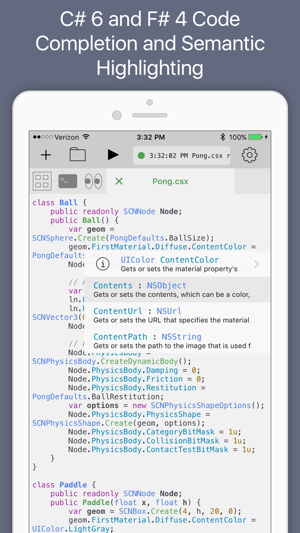 If you're new to .NET or iOS coding, you will love the code completion with integrated documentation and the fun examples that come with the app. If you're a .NET pro, then you will love the support for projects and the ability to inspect objects as you code them - whether they're in a script or just a normal project file. If you're new to programming, C# is an great language to learn: it's powerful yet friendly language, example code is all over the internet, and there are plenty of jobs out there waiting for you. If you enjoy thinking a little differently, then you will love that F# is included and fully supported. 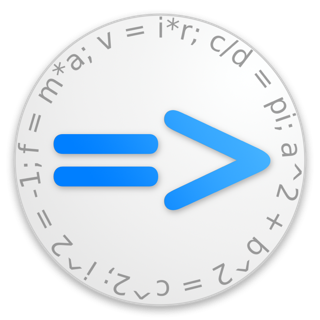 This amazing programming language will teach you to write better code and will arm you to solve problems that you thought were too big or hard to solve - like writing an IDE. One of the best available Apps on the planet! 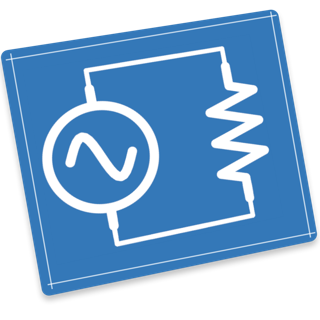 Works great und gives instant feedback. Thank you for the great work, Frank! Despite the App actually being very useful, I cannot justify a higher rating considering the nonexistent support and inactive forums. Feature requests and questions regarding the App are simply ignored. © 2016-2018 Krueger Systems, Inc.